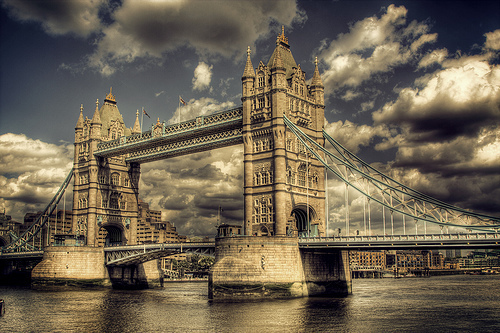 Tower Bridge. . Wallpaper and background images in the fotografia club tagged: photography image photo bridge tower bridge london water sky clouds. This fotografia photo might contain ponte suspensa and ponte pênsil.